There’s no question that content is the fuel that can nurture profitable relationships, help establish your expert authority, and drive the sales process. It’s no longer enough to publish fresh content. Everyone is doing it! As a result, the internet is awash with information (and your perfect WHO is becoming more and more overwhelmed). This means if you’re serious about building your business through content marketing, your key challenge is to earn attention. You need to find a way to cut through the ever-increasing online noise and ensure your voice is turned up – not switched off. It’s for this reason you MUST approach your content creation from a strategic perspective. Don’t burn your time or cash by rushing up the next good idea you have. Instead, take the time to establish whether your idea will add value to your customer, your prospect, and your sales process. Take the time to gather the information necessary to know whether your content idea needs to be given life now, next, or later (or possibly never). Sure, this may make the process of content creation feel a little laborious. But let’s be honest… it takes time to create really good content. It takes effort, focus, and a lot of love to craft words that your perfect WHO will lap up and engage with. The creation part is a whole lot harder than the initial decision as to whether or not to give an idea life… so don’t skimp on it. As I’m sure you know, it’s darn frustrating pouring your effort into a piece of amazing content that goes unnoticed. But how do you know if it’s worth investing in your latest content idea? To help, I’ve put together a list of 12 in-depth questions. I’ve found these questions will focus your thinking and give you that valuable clarity of thought. Try them for yourself and see (and CLICK HERE to download a handy printable). 1. Who is your perfect WHO for this piece of content? If you want your message to be read, you simply have to know – in detail – WHO you want to read it. You and your business will appeal to a certain sort of person – and it’s your job to figure out who you can best serve. And I don’t just mean at a superficial level. You need to dig deep. Understand your customer’s motivations, fears, desires, goals, and objections. Without these insights, the content you create will be generic. It won’t tell your target customer that it’s intended for them. In comparison, when you’re clear on your perfect WHO (and you can imagine this individual opposite you when you write), you’ll find that your words will not only flow easier, but your content will have more impact too. 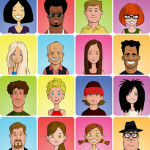 If you’ve yet to create a customer avatar for your business, I encourage you to download this handy worksheet. 2. How does this content add value to your perfect customer? To get results from your content, it has to move you target customer in some way. Your content must be perceived as relevant and useful. It must add value. This means that before you start tapping away on your keyboard, you must get clear on why your perfect customer needs to read your words. In the case of this blog (for example), the reason I want you to read this article is so you stop wasting your time and money on ineffective content creation. In addition, I want you to get a feel as to how much thinking should go on before you craft content. What pain are you soothing? Aim to identify some specific outcomes or results (like the example I just gave). And for best results, ensure these are genuine (i.e. draw upon the insights contained in your customer avatar). 3. What is the attention-grabber? So your content is going to add value to your perfect WHO, but how do you convince them to invest the time to read what you have to say? Your headline is crucial here. Remember, in the ever swelling sea of awesome content, you have to stand out and get noticed. So make your headline compelling. Use a ‘how to’ or a ‘list’ (like I have in this article). Or promise a big benefit. Headlines will help you cut through the noise and earn the right attention. So don’t skimp on them. 4. What purpose does this piece of content serve for your business? As well as your content serving a purpose for your customer, it should serve a purpose for your business. For content to work (i.e. lead to sales), it must drive action – even if that action is something intangible such as helping your target customer see that you are the expert who can help. 5. What’s the next step you want a customer to take after reading your content? Following on from points 3 and 4, once you’ve decided what you want your content to achieve, you need to identify the next step. This is your call to action – and it’s the specific instruction that you’ll ask customers to do once they’ve engaged with your content. Now, this isn’t as simple as asking the reader to take action. You need to give them a good reason for doing so. So make it clear what’s in it for the reader. 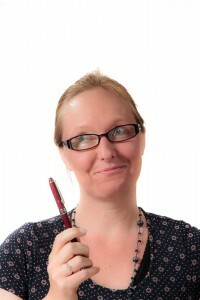 For example, explain the benefits of your lead magnet, or highlight the offer (and deadline). You must also consider any objections – these are blocks that will stop your reader taking the next step. So be sure to overcome these. If you do, your response rate will increase. Whether or not the right audience sees your content – i.e. are your words actually getting read! 7. Have you chosen the correct format for this message? When it comes to content marketing, you have a host of choices as to how you can present your ideas. form blog posts, to emails, to newsletters, to podcasts… how do you know which is the right media for your goals? In simple terms, you need to understand where this piece of content fits within your wider sales process. That’s why you must be clear on the purpose of your content idea. You see, different media work best at different stages of the sales cycle. For more information about taking smart content decision, CLICK HERE. 8. How does this content fit into your wider content web? With the growing shift towards self-education, it’s likely your customers will need to read more than one piece of content before they are willing to invest. That’s because you need to build your ‘know, like, trust factor’ first. So to place all your hopes on a one-time sales page is a big ask. If you publish fresh content on a regular basis, your content web will develop over time. I call it a web because it should be sticky (to your target customers) and it should also be interconnected. You’ll gain far more credibility by focusing on core topics and going deep, rather than covering a whole heap of topics on a superficial basis. So when creating something new, just gauge it’s place within the material that you’ve already published. 9. What links/connections can you make with existing content? Sticking with the content web theme, when you create fresh content, link back to pieces you’ve already published. This is good for Google, but more importantly, it allows your readers to dig deeper and explore other articles where you talk in more detail. What’s more, links help to reinforce your content web too. 10. How does this content link with your positioning and what you want your perfect customer to know about you? How do you get attention when so many people are competing for your customers’ eyes, ears, and hearts? You earn expert authority status. This status can take time, and that’s why you need to be consistent and persistent. What do you want customers to think about when they think of you? Make sure your content taps into this and over time you’ll find that other people will mention you as the go to for the niche that you own. 11. How can you seamlessly weave your personality into this piece? A key part of your positioning is your personality. Why? Because this is one aspect of your message that makes you entirely unique. No one else has the same experience, values, and take on your subject area and niche as you. So don’t become some boring, faceless entity. 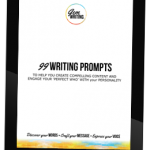 Instead, create your content in your unique voice (download this free PDF with 99 writing prompts to give you some ideas). You’ll find that your perfect customer will be attracted to you because of who you are – it’s almost as important as what you know and how you can help. So go on… unleash the real you! 12. How will you promote this piece to gain message momentum? The final piece of the content jigsaw is promotion. Just because you’ve put an awesome piece of content ‘out there’ does NOT mean your perfect customer will visit in hoards. Hey, they may not even realise this piece exists – unless you tell them. This means you MUST think about your promotion. After all, you’re only going to get results from your content if people engage with it! It sounds obvious, but this aspect is often overlooked. Content marketing holds HUGE potential for your business… but only if you approach your content creation with a strategic focus. The behind the scenes thinking plays a crucial part in the success of your content creation. You can’t skimp this part if you’re serious about getting results. 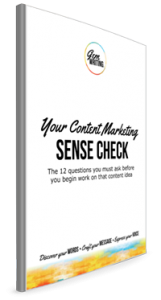 If you run your content idea through these 12 questions, you’ll stay ahead of the game. So be sure to download and print out your handy PDF. And if you want to discover more ideas for making smart content decisions and use your personality, fill out the form below.